There are ten years of compulsory education starting at the age of six. Primary school comprises six years and secondary five, with cycles of three and two years. Some 94 per cent of pupils complete primary school (2010). The school year starts in January. Teaching is in Creole, French and English. 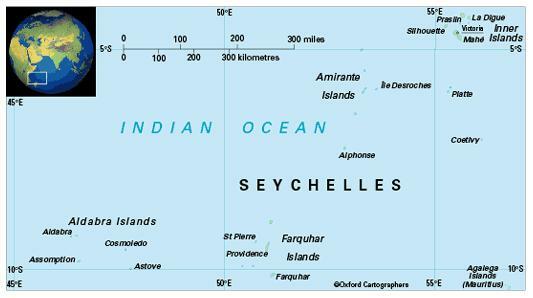 The Seychelles Polytechnic opened in January 1983 at Anse Royale on the island of Mahé. It offers courses in business and the visual arts to diploma level and has been providing first-year degree courses in conjunction with the University of Manchester, UK, since 2001. The Seychelles Institute of Technology was established in Providence, Mahé, in 2005-06, incorporating the technical studies programmes of the Polytechnic. Other important tertiary institutions include the National Institute of Education, National Institute for Health and Social Studies, Agricultural and Horticultural Training Centre, Maritime Training Centre and Seychelles Tourism Academy. The female-male ratio for gross enrolment in tertiary education is 3.40:1 (2011). Literacy among people aged 15-24 is 99 per cent (2010).